A devoted wife, mother, grandmother and great grandmother passed away on Friday, October 26, 2018 at age 86. She was born in Erick, Oklahoma to the late George Hamill and Lorene (Pennington) Kelley. She graduated from high school in Delhi, Oklahoma May 23, 1950. She attended Midwestern University in Wichita Falls, Texas. Survivors include son, P. Douglas Jones and wife Nancy; son, H. Dean Jones and wife Debbie; daughter, Linda K. Clayton and husband Duane; grandchildren, Tasha Jones, Trey Jones, Jami Hull, Sean Jones, Danielle Ricks and Ashley Gillett; great-grandchildren, Lacey Gillett, Londan Jones, Gabe Jones, and Madie Jones. She is also survived by her sister, Joyce Harrison and her husband Bill of Glendora California. 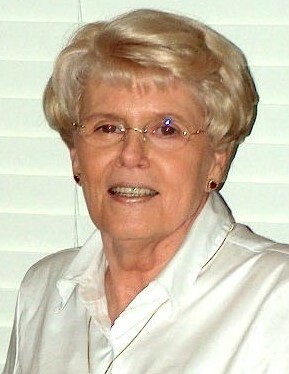 She is preceded in death by her parents, George and Lorene Kelley; husband, James Paul Jones, and sister, Georgia Parish. Visiting hours will take place at Resthaven Funeral Home on Monday, October 29, 2018 5:00 PM – 8:00 PM. Visitation will resume Tuesday, October 30, 2018 10:00 AM until services at 11:00 AM. Burial will follow at Resthaven Gardens of Memory. Pallbearers will be Doug Jones, Dean Jones, Duane Clayton, Trey Jones, Sean Jones & Shaun Abedinzadeh. A special thanks to the Landmark and Life Source Hospice.